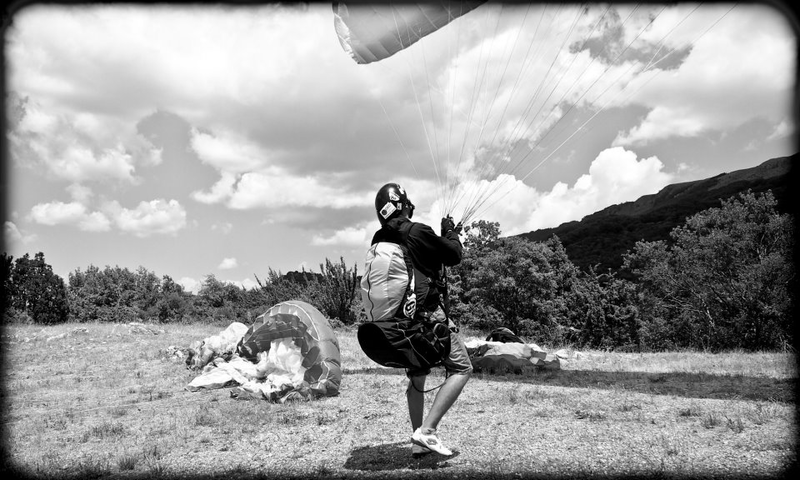 The basic paragliding course offers you the opportunity to become a paraglider pilot. It’s eight-day intensive training, during which you can get the necessary theoretical knowledge (meteorology, aerodynamics, aviation regulations, …) and the practical skills needed for independent flying. The training begins on a training meadow, then flies from a large hill with an elevation of about 400m. Upon successful completion of the course, the participant will receive a Personal sheet, based on which you can apply for pilot license at the Light Aircraft Association of the Czech Republic. Courses take place in beautiful surroundings of the Beskydy Mountains. The HQ is our PG Center in Čeladná. The training will take place first on smaller slopes, one of which lies in the vicinity of the cottage. For flights from a large hill, mainly Ondřejník Skalka, Javorový, Velký Javorník and Straník will be used. The training is done by experienced instructors, who will guide you through the training using a radio. Note: The student prize can only be used by full-time students at a school in the Czech Republic under 26 (inclusive) or under the age of 21 (inclusive). The basic language of the training is the Czech language. In the case of an agreement, you can also train in English. Course in a foreign language is subject to a surcharge of 2 000 CZK/80€. If you are less than 18 years old, a parent’s consent is required on your personal card to be certified by the municipal office or a notary. The minimum age for attendance at the course is 15 years, maximum age is not limited. A medical check-up can be done with your GP or a licensed aviation doctor. Eligibility must be indicated on a Personal sheet by a doctor. The price of doctors may vary considerably. If you don’t have the check we will arrange it with our doctor. as a variable symbol, enter your birth number. You will be notified by email.